This week we want to primarily focus on recapping the crazy time that was this launch weekend. I hope that many of you got to tune into some of the epic party we threw this Monday called Halo 5: Live, but in case you didn’t, we’ve gathered up some of the story-centric aspects right here for you. Enjoy! Halo 5: Live opened up with a love letter to the lore, as we unveiled the newest addition to the Halo 101 video collection. Fans who have been visiting Halo Waypoint and the Halo Channel for some time now are probably pretty familiar with our Halo 101 series, which takes a look at various elements, characters, and events within the Halo universe and breaks them down in bite-sized bits for better understanding. 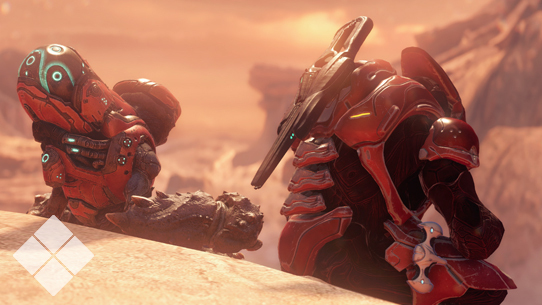 Our latest entry, “Halo 101: Guardians’ Approach,” is meant to give fans both new and old both an overview and catch-up of the main Halo narrative and drop them off at the doorstep of the Halo 5: Guardians campaign. If you have friends or family that are curious about this universe we’re all so crazy about, hopefully it helps give a nice overview of what’s been going on so far. 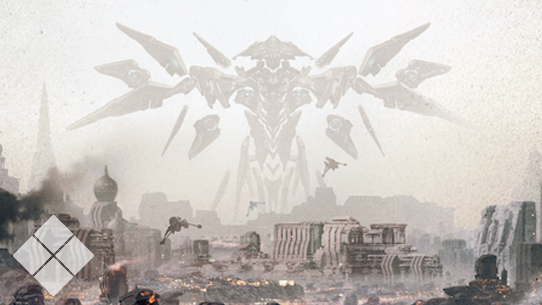 One of the highlights for many a fiction-fan of the Halo 5: Live show were the roundtable discussions that took a more intimate look at both the Halo 5: Guardians story itself as well as the greater Halo narrative. If you didn’t get to check them out during the launch party, check them out on the Halo Channel or right here! 343 Industries’ Franchise Development Director Frank O’Connor, Halo 5: Guardians’ Lead Writer Brian Reed, Cinematic Director Brien Goodrich, Nathan “Edward Buck” Fillion, and yours truly all sat down together with 343’s Tina Summerford to talk Halo storytelling from a range of unique perspectives. We chat about telling our latest narratives within the game, both through cinematic experiences as well as a huge array of in-game dialogue, and the task of trying to tell cohesive tales within a vast and expanding universe. Nathan of course, offers an inside view on what it’s like to play not just an ODST, but a Spartan, and elaborates on his relationship with Halo as a whole. Steve Downes (the Master Chief), Ike Amadi (Spartan Locke), Darren O’Hare (Captain Lasky), Laura Bailey (Spartan Vale), and Travis Willingham (Frederic-104) joined Frank O’Connor to talk about the craft of voice acting, their experience with Halo 5: Guardians, and much more. This roundtable is an excellent way for story fans to get a rare and special glimpse of the voices behind the visors, and learn a little but more about the incredible individuals that pour their talent and passion into the Halo 5: Guardians story. Fans of the Halo: The Fall of Reach animated series will definitely want to check out this behind-the-scenes look at the project’s development. Featuring an inside look from our friends at the Sequence Group, fans can get a taste of what it takes to give a much-beloved story the animated treatment through Sequence’s unique artistic style. EightWalk326413: What exactly is the difference between MJOLNIR Mark VII and mainline MJOLNIR GEN2 armor? The description for the GEN1 Mark VI in Halo 4 seemed to imply that the Mark VII was a GEN2 variant, but there's no other evidence to suggest that the Mark VII and GEN2 are connected. A: Mjolnir GEN2 armor incorporated a number of technologies developed for the Mark VII program, though Mark VII itself was not cost effective to produce at scale. The closest GEN2 armor variant to Mark VII is the DECIMATOR, though it is mostly unknown outside of the Spartan special forces community. FordFalcon1997: What is Jul ‘Mdama's field record during the Human-Covenant war? A: During the Human-Covenant War, Jul ‘Mdamaee served as the shipmaster of the ORS Heavy Cruiser Blight of the Profane during the latter third of the conflict. Dimmest Void: Does the spartan branch have their own space/ships, vehicles, and related support materiel? 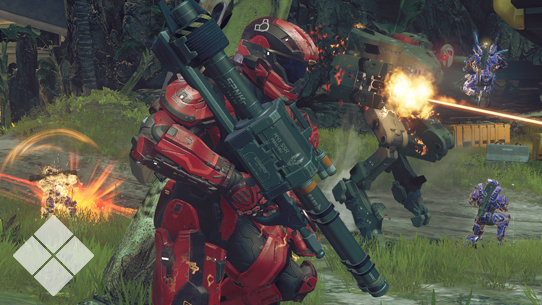 Dizzy Gyro: How does the Grunt floating across the menu screen in Halo 5 fit into the cannon? A: Very carefully, and with a lot of grease. That will do it for this week, folks. On behalf of everyone here at the studio, I want to say thanks for making this Halo 5: Guardians journey a fantastically exciting and rewarding one. I can’t wait to spend time discussing and dissecting Halo latest adventure with you all further, and certainly hope you’ll continue to join us as we do so. Until next time… Live well, play Halo, and did I not tell you that Dimkee Hotay was arguably the best Unggoy ever? 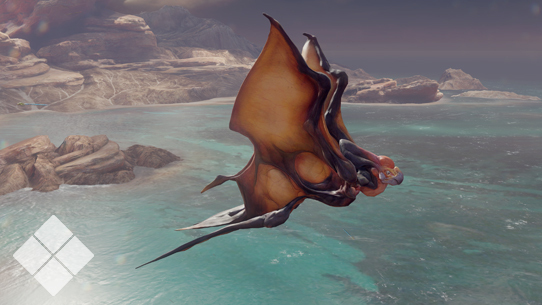 This week in Canon Fodder, we talk campaign, alien politics, and more.